6.1 How Good Is The Frother? 6.2 Is This A UK Machine? 6.3 How Hot Is The Milk? 6.4 How Long Does An Espresso Take To Make? 6.5 Does It Do Mug Sized Coffee? 6.6 How Much Water Does It Hold? 6.7 Are Other Colours Available? 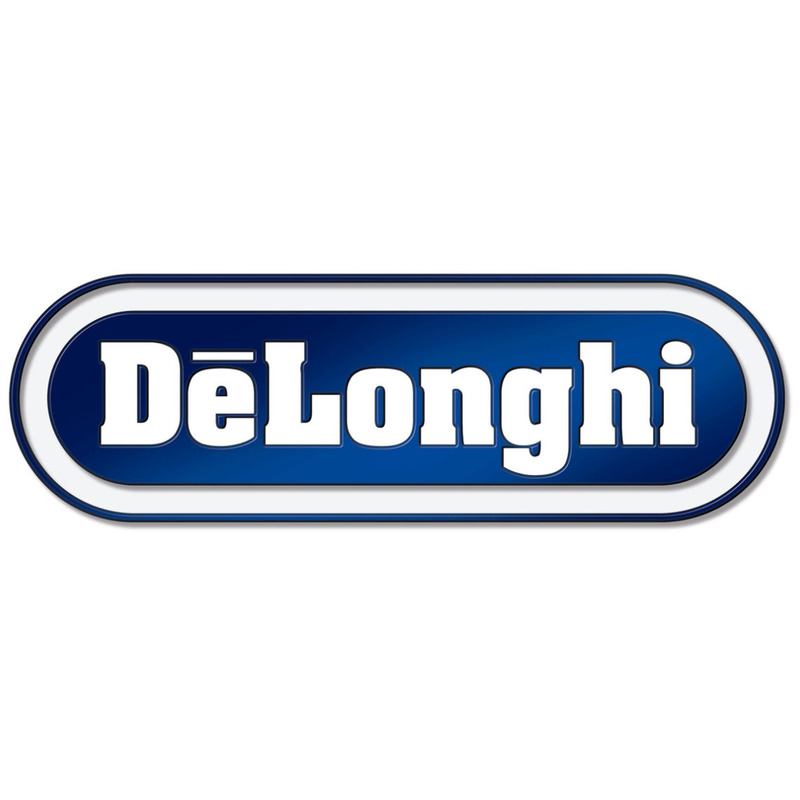 You might have noticed that Delonghi bean to cup coffee machines tend to score very well in our reviews, and the De’Longhi ECAM44.660.B Eletta bean to cup coffee machine is no exception. There’s also a very similar (in fact almost identical) machine in white, that often varies in price called the Eletta ECAM45.760.W. This also serves as an ECAM44.620.S review too – the difference is this Eletta Plus model doesn’t include the milk carafe so won’t make the lattes and cappuccinos out of the box. It’s a slick and stylish looking model that looks amazing sat on a kitchen worktop, with a slightly futuristic feel to its design which grabs the attention. That’s great if you like to look like you’ve got the latest and greatest gadgets, yet isn’t so over the top to look like you’re going out of your way to impress, as can be the case with something like the Heston Blumenthal approved Sage Dual Boiler. You might think that because this machine hasn’t ranked as highly in our top ten table as it’s sister model the ESAM4200, that it somehow falls short in performance, but that’s not true at all. The fact of the matter is it’s simply more expensive, so doesn’t score as well in the value for money stakes. If you can afford this machine (or it’s available at a significant discount as you read this), then it’s definitely a good buy. Let’s look at what you get in detail to explain why. As with all of our reviews, we like to begin with the factual side of things – the features of the coffee maker. This section should help you to understand exactly what you’re getting if you buy this Delonghi Eletta machine, feature by feature. We’ll focus on the main ones, so if you don’t see something you’re looking for, click over to Amazon using the blue button above, and check their Q and A section, and often someone else will already have asked the same question! Lets start with a feature that’s getting more popular but hasn’t made it to many new coffee machines yet. The ECAM44.660.B allows you to create your own coffee programme by setting up your very own preset! Configure the milk and coffee settings to your tastes and save them to the machine’s memory, and you can quickly replicate that perfect cup every time! If you’re a particular fan of milk based coffees, then the Eletta is a great choice. Cappuccino creators or latte lovers alike will appreciate the simple milk functions that allow you to easily get the most out of cream and milk frothing functions. Staying on the milk theme a little longer, it’s worth noting that the milk container (or as Delonghi call it, milk carafe) is a removable chamber that is designed to be simple to move to the fridge for storage. If you’ve had a machine before that includes a milk frothing wand, you’ll know what it’s like to realise too late that the milk is somewhat past its best. It’s not the most pleasant job to clean out a wand, so Delonghi have thought this through for you – all you need to do is remember to move the ‘Carafe’ to the fridge between uses. For some, the grinder is where the quality of a coffee machine is made, and this Delonghi machine scores well. From coarse to smooth, there’s a whopping thirteen settings to choose from, so I’d challenge anyone to find that there isn’t a setting that meets their delicate palate’s needs! Unlike some of the other models on the market (many of which we’ve reviewed), the Eletta ECAM44.660.B guides you through its use by giving you feedback about what you’re doing via an LCD digital display. That means that it’s easier to see what you’ve got selected, as it’s shown right there in front of you, whether that’s the type of coffee, the single or long (bigger or smaller drink to you and me!) or simply how strong you like it. As with any machine, this Delonghi Eletta is no different in that there’s a set of questions that get asked before people are ready to buy. We hope to have you covered in this FAQ section. How Good Is The Frother? Fundamentally, you’re going to be hard pushed to find a home machine that matches the coffee you’ll buy in Starbucks or Costa, however this machine is up there with some of the best. If for any reason you’re not sure about this model and want to check out another that’s blessed with a great alternative to the milk frother wand, check out the Melitta Caffeo Barista TS too. We do think, however that this machine scores as well as any other we’ve seen in the home coffee machine stakes, so it’s not something we’d expect to put many buyers off. Is This A UK Machine? By using a trusted retailer you can be sure that you’re getting a genuine UK version that will be designed to run on our 240V supply (although you might notice that it’s also rated 220v, but that’s fine). How Hot Is The Milk? This is always a burning issue (pardon the pun), as many coffee lovers try to avoid the milk cooling the coffee too much as it’s added. The Eletta dispenses hot milk, but it’s not as hot (near boiling) as the coffee. Therefore there will be a slight cooling effect, but it certainly shouldn’t result in warm coffee instead of hot coffee, which is usually ‘the question behind the question’! How Long Does An Espresso Take To Make? This is an easy and quick answer – allow a minute and another for good measure if you’re starting from a cold machine, but it’s very quick. Does It Do Mug Sized Coffee? Yes, again this is a quick answer, but to achieve it you can choose the two cup long option. Be aware though, that the long coffee options feel like they take a lot longer to complete. A lot of that seems to be psychological, I never was good at waiting, it measures in at around 2 minutes. This is a question that tends to come from people who’ve previously owned a bean to cup machine. The answer is just under two litres, so plenty to make several cups before it needs to be refilled. The ECAM44.660.B we feature here is the black model, however the equivalent in white is called the ECAM45.760.W, and you can find it on Amazon using the blue button at the bottom or top of the page. To all intents and purposes you can consider this review to apply to both, with the obvious difference being the ECAM 45.760.W is white rather than black. It’s also worth noting that there’s a non milk version available in silver too, called the ECAM44.620.S. If you’re not a fan of milky coffee, then this is usually considerably cheaper, and of course you can add milk to a black coffee after it’s made if you’re not regularly going to make lattes and cappuccinos. Here’s our favourite section, as it moves away from what we think and brings you the customer view. We’ve collated the top comments from current and previous owners, with the idea being to get you a real life feeling for how the machine performs. Let’s quickly clarify that this is a common claim by some owners, not that we’re categorically declaring the Eletta to be the answer to everyone’s needs. If you can stretch to the price, it’s a definite contender, as lots of customers say it’s the best machine they’ve bought. High praise indeed. One person even made the point that they’re having theirs repaired as they love it so much, rather than buying a new machine. I’m not sure that’s a cost effective solution unless it’s still under warranty, but it does highlight how popular the ECAM44.660.B is with many owners. As you’ll know if you’ve read some of our other reviews, we don’t shy away from the negatives, and one that comes up is a missing espresso macchiato setting. Now, we’ve not got a machine to hand when we added this point into the review, but the documentation we’ve found on the web does seem to suggest it should be there. If you’re buying a machine specifically for that type of coffee, perhaps it’s worth considering a different machine. Don’t forget, though, this Delonghi does have a programmable option, so you can build your own coffee making cycles if you wish! This sounds fairly obvious at first glance, but the point a number of people make is that if you’re a fan of great coffee and this machine is going to match what you’re looking for, don’t scrimp and buy a cheaper model. Of course, we wouldn’t advocate anyone spending more than they can afford, but there’s certainly an element of ‘you get what you pay for’ in the coffee machine world. As with all good coffee makers, being simple to clean is important to most users. There’s nothing worse than having to spend ages cleaning after each use, as it soon discourages you from using it at all. Cleaning cycles and descaling are important to maintain a long life for your machine, so fortunately they’re simple to complete. Also the removable milk carafe that we mentioned earlier makes the job much easier, as it’s almost always the milk that’s going to cause problems fastest if left without cleaning after making drinks. So, there we have it, our Delonghi ECAM44.660.B Eletta review. This is actually a fairly easy machine to sum up – if you can afford it and like the look of it, then buy it. Like the Melitta Caffeo Barita TS, it stands out as a great purchase, and is easy to use even for newbies. On the other hand, if you want to spend a bit less, Delonghi also make an ESAM4200 machine which we also like a lot, especially for the price. You will get much better results with this Eletta, and you’re less likely to outgrow it, but as with so many things, it’s probably going to come down to price!